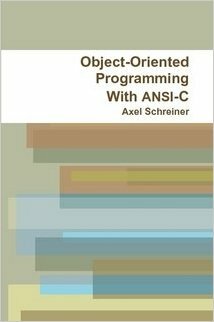 Uses ANSI-C to discover how object-oriented programming is done, what its techniques are, why they help us solve bigger problems, and how we harness generality and program to catch mistakes earlier. Object-oriented programming is the current cure-all — although it has been around for much more then ten years. At the core, there is little more to it then finally applying the good programming principles which we have been taught for more then twenty years. C++ (Eiffel, Oberon-2, Smalltalk ... take your pick) is the New Language (ed: this book was published in 1993) because it is object-oriented — although you need not use it that way if you do not want to (or know how to), and it turns out that you can do just as well with plain ANSI-C. Only object-orientation permits code reuse between projects — although the idea of subroutines is as old as computers and good programmers always carried their toolkits and libraries with them. I had fun discovering that ANSI-C is a full-scale object-oriented language. To share this fun you need to be reasonably fluent in ANSI-C to begin with — feeling comfortable with structures, pointers, prototypes, and function pointers is a must. Working through the book you will encounter all the newspeak — according to Orwell and Webster a language "designed to diminish the range of thought" — and I will try to demonstrate how it merely combines all the good programming principles that you always wanted to employ into a coherent approach. As a result, you may well become a more proficient ANSI-C programmer. 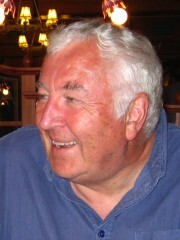 Axel-Tobias Schreiner was a Professor of Computer Science at Rochester Institute of Technology until his retirement in 2012. His research interests include compiler construction, distributed systems, graphical user interfaces (Cocoa), object-oriented programming, operating systems (Inferno, Mac OS X, Plan 9, Unix), programming languages (Java, Objective C), roboter programming, and typesetting.